Andrew McAfee, Associate Professor at Harvard Business School, has just launched Cases 2.0, a wiki-based repository of business cases about the impact of Web 2.0 on corporations. This is a very interesting initiative where you can contribute. 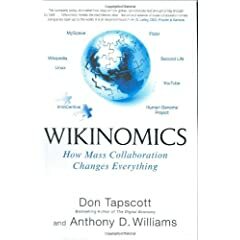 To be release in December, Wikinomics is a book focussing on the impact of mass collaboration on the economy . Jotspot announced yesterday it was bought by Google. Larry Page and Sergey Brin are hungry! After Writely and YouTube, Google makes another decisive step on the path of cooperation. JotSpot data will be transferred to Google’s systems. 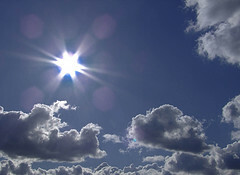 As a result, it is no longer possible to create a new account for the moment. Current JotSpot users can cancel their account and retrieve their personnal information. Another pretty cool consequence : premium subscriptions are now free! Will they display advertisement ? Another question is: will the JotSpot brand survive or disappear, as Writely did? Should we soon say GoogleWiki ? Google buys JotSpot. Who’s next ?